Shubat Transportation Company has a long, rich history of providing quality bus transportation. Our story begins in 1913 in the small Northern Minnesota mining town of Hibbing. Charles Shubat, a young immigrant from Yugoslavia, began his bus business with a Ford eight-passenger bus. His earliest routes took passengers from North Hibbing to Kerr, Carson Lake, Leetonia, and Morton locations, which were just west of Hibbing. In 1914, Charles' brother, Mike, joined him in the bus business. The two purchased a Wilcox bus (pictured to the left) in 1916, followed by two more in the following years. Their first bus depot was located in the (then) heart of Hibbing, next to the Merchants and Miners Bank on 3rd Avenue and Pine Street. From 1918-1921, businesses and homes in North Hibbing were forced to move south, as the richest iron ore deposits were directly beneath the town! As a result of the need to mine directly below the town, Shubat Transportation moved to South Hibbing in the Alice neighborhood. The business grew, and was relocated to the Sons of Italy Hall building at 7th Ave E & Howard Street, a building that still stands today. Shubat continued operation from that site until 1964 when the building was sold. The company moved to a garage on Hibbing's Beltline, and later to its current location on Hwy 169. Through the years, Shubat Transportation has expanded and updated its fleet of buses to meet the demands of travelers. Amenities such as on-board restrooms, computerized climate control, DVD video systems, and 110v outlets, once all optional equipment, have become a standard on our motorcoaches. Groups are able to take advantage of a choice of different size coaches, school buses, or vans to best fit their needs and budget. 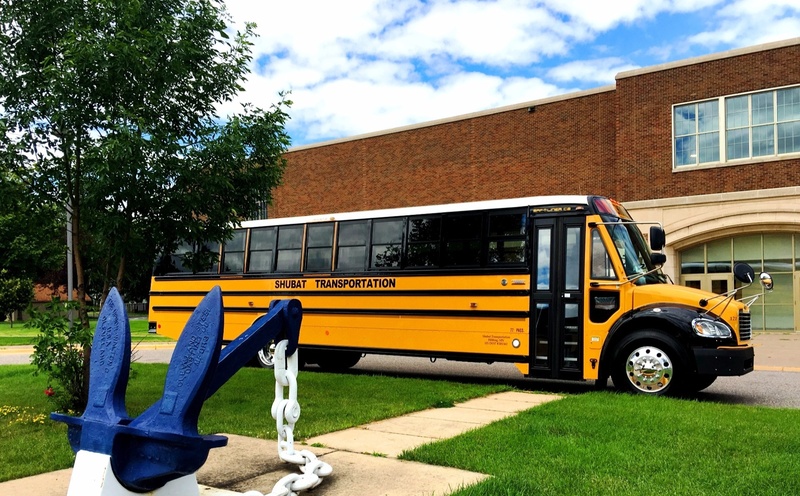 Today, Shubat Transportation Company provides contracted school bus transportation for several area school districts, as well as private groups. 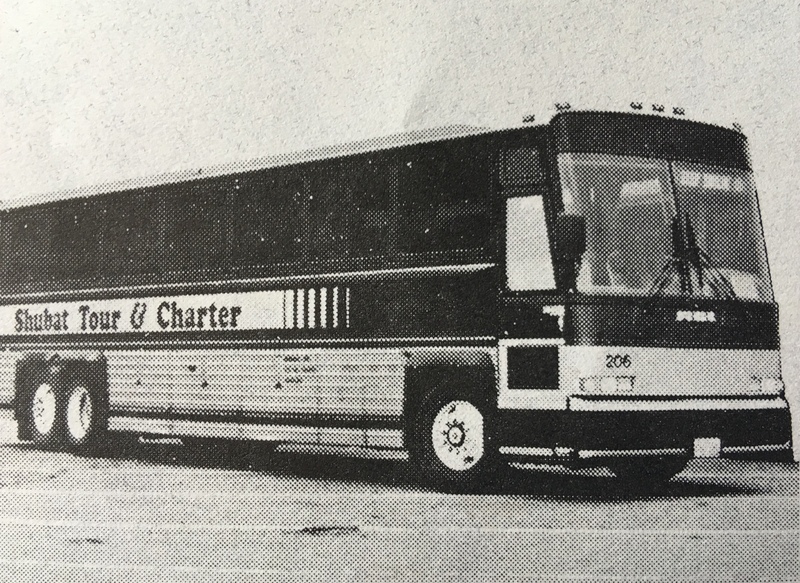 Shubat also has a fleet of deluxe motorcoaches, which provide chartered bus transportation across Minnesota and the United States. In addition, Shubat operates the transit system in the city of Hibbing. 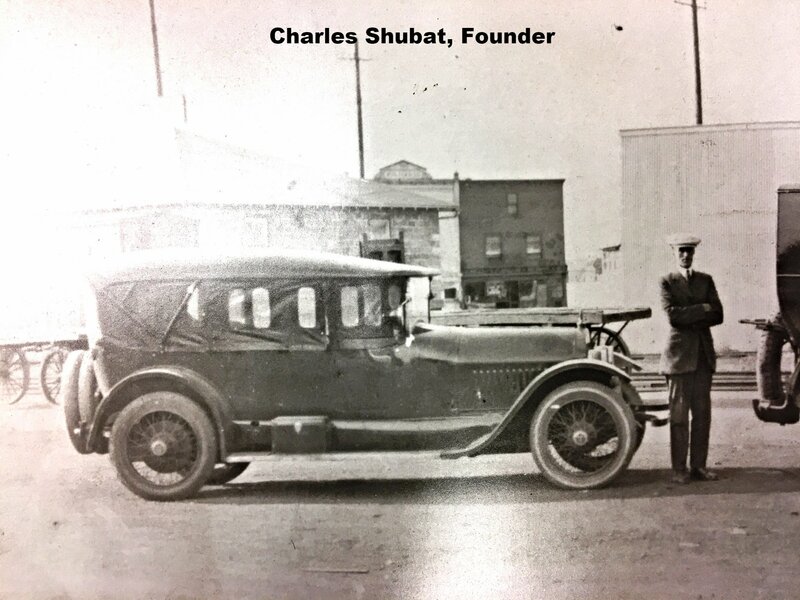 With over 100 years in the transportation business, Shubat Transportation Company continues to provide quality transportation and travel experiences for our customers and community. Our fleet of late-model school buses are available for contracted transportation, as well as group charters. Our deluxe motorcoaches are a perfect way to travel in comfort and style. We have multiple sizes to provide a perfect fit for your group. 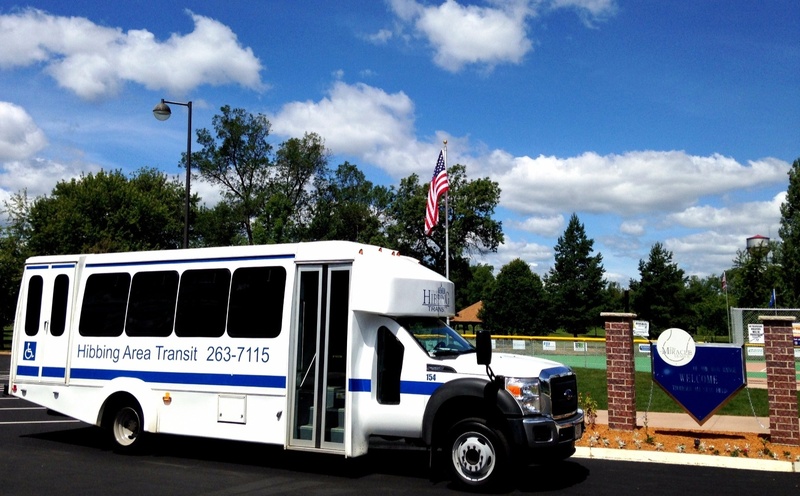 Convenient and economical, our city transit service provides transportation for residents in the city of Hibbing 7 days a week.